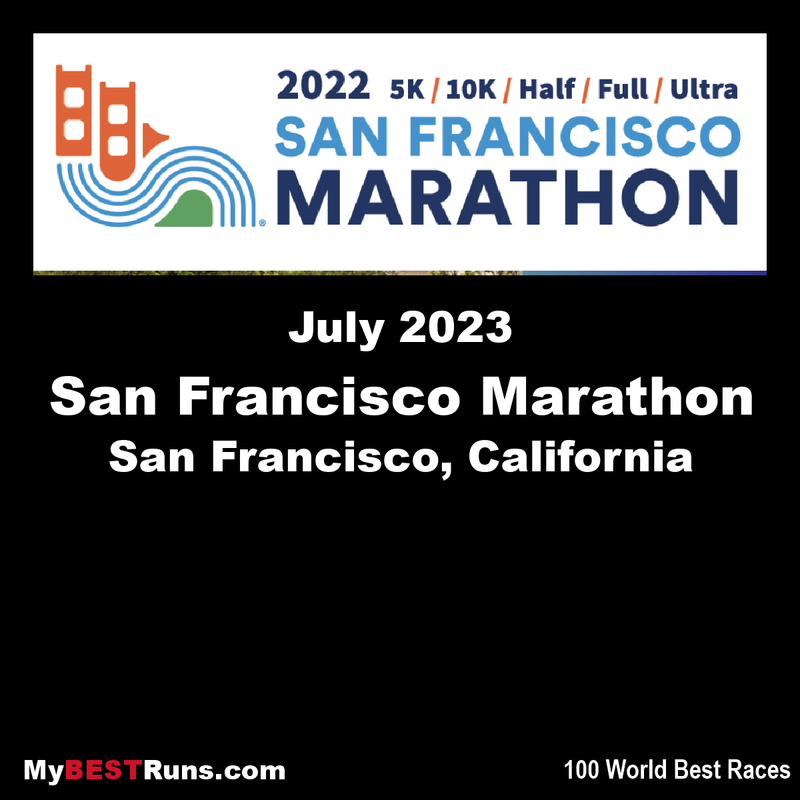 The 41st running of The San Francisco Marathon (Full Marathon, 1st Half Marathon, 2nd Half Marathon, 5K and Ultra marathon) will fill San Francisco’s streets with over 27,500 runners on July 22nd, 2018. Runners will enjoy waterfront miles along the Embarcadero, Fisherman’s Wharf, and Crissy Field; feel their heart pound as they race across the Golden Gate Bridge; speed past landmarks like Coit Tower, Golden Gate Park, and AT&T Park; and pound the pavement through San Francisco’s liveliest neighborhoods like Haight-Ashbury and The Mission. 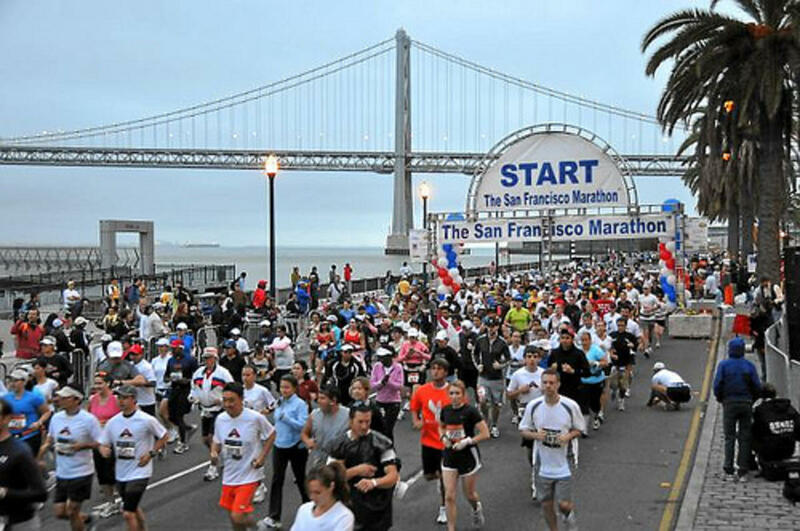 The San Francisco Marathon in one of our challenging and rewarding races. You’ll enjoy waterfront miles along the Embarcadero, Fisherman’s Wharf, and Crissy Field; feel your heart pound as you race across the Golden Gate Bridge; speed past landmarks like Coit Tower, Golden Gate Park, and AT&T Park; and pound the pavement through San Francisco’s liveliest neighborhoods like Haight-Ashbury and The Mission. Take on our Full Marathon, 1st Half Marathon, 2nd Half Marathon, 5K, or Ultra marathon distance and join 27,500 runners in this breathtaking and scenic race. A mythical visit of the cosmopolitan City of the Bay. I ran the 1st half in 2009, the 2nd half in 2010, and the full in 2015. Gorgeous views surround every part of this event, and then you get to run across the Golden Gate Bridge. Course support is what you should expect from a larger event. Because of some of the hilly terrain and restrictive parking there is not heavy crowd support but I didn't mind....the scenery was what got me through. Yes, like I said, it's hilly but I find that to be a positive rather than a negative for the change-up of muscle use. I must say this race has excellent swag as well. I have run the second half marathon three times. There is no better way to see SF. I will do this one again.